As a top industrial painting company, Induspray provides painting services to Youngstown, Ohio and Warren, Ohio. 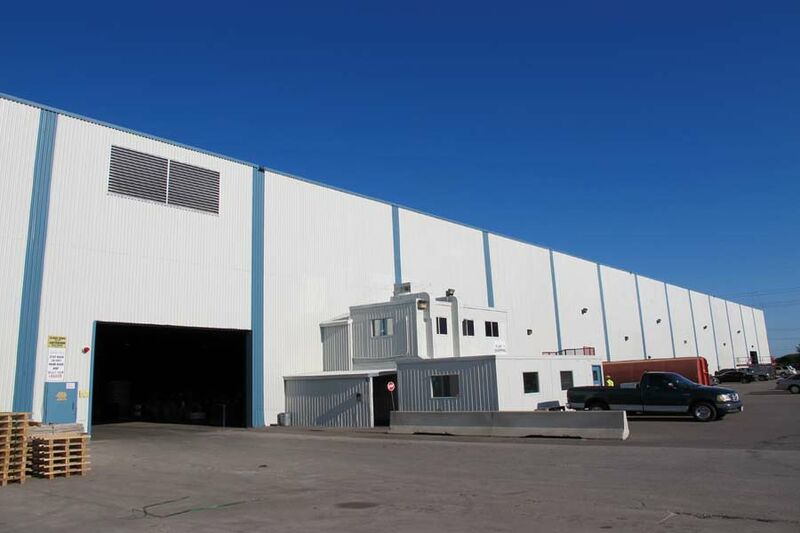 We are paint contractors who handle professional commercial painting and restoration of factories, warehouses, manufacturing plants, industrial buildings, and commercial buildings. Our specialty is the spray painting of large metal deck ceilings. 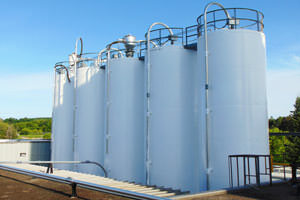 We have the expertise and capability of painting the inside as well as the outside of buildings, and are adept at handling large jobs that require industrial-strength cleaning, especially older manufacturing and heavy industrial facilities that need a lot of deep cleaning to remove built up grime and grease. Induspray commercial/industrial painting knows that the most important part of a painting project’s success is the surface adhesion. 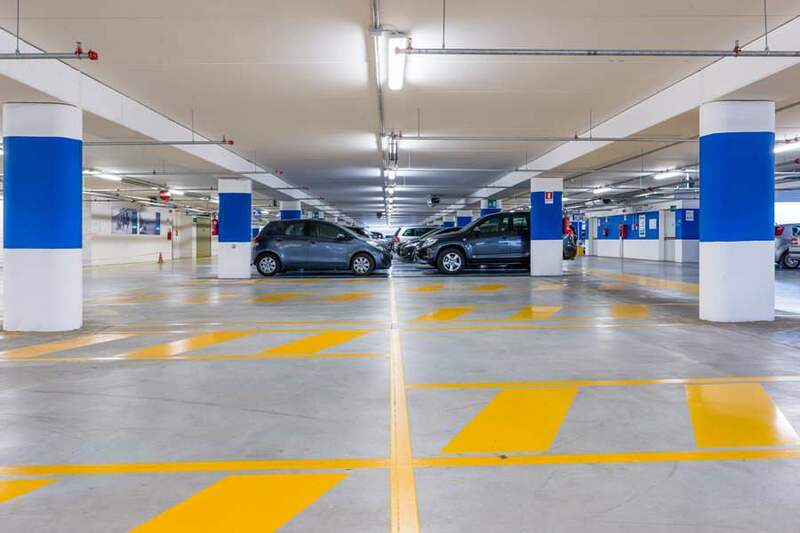 In order to ensure that we meet the industry’s best practices, a clean, solid and smooth surface must make up the base before applying any paint coatings. 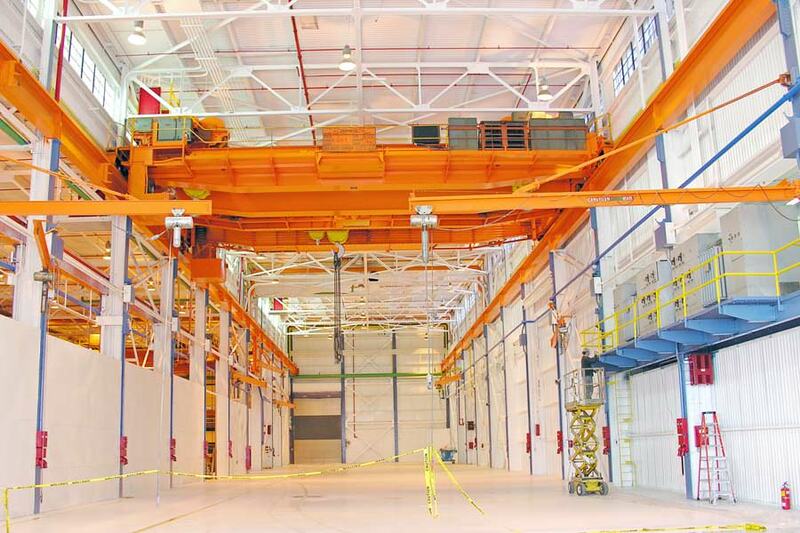 After all, your industrial painting project should not have to be redone later on. When the job is done right the first time, it eliminates the cost of having to redo the project later on. 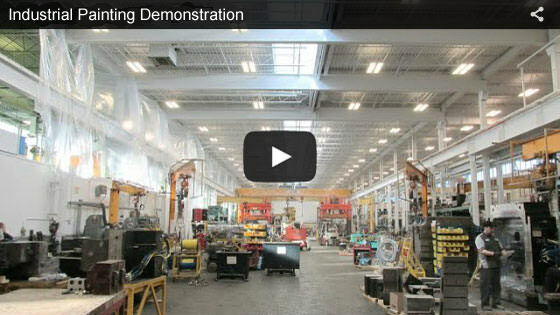 The original surface will be the best surface possible for paint coating adhesion. A strong, smooth paint finish starts at the surface. Our experienced contractors realize this and use any of the following proven methods to ensure perfection: steam cleaning, power or pressure washing, sandblasting, micro abrasion, chemical cleaning, dry ice blasting, shot blasting, and others depending upon the situation. Several techniques are used by our by our painting professionals to coat your project’s surface with premium paint. These include airless spray painting, something we specialize in. We guarantee the best bond for your surface, and this minimizes the possibility of incurring corrective costs that would otherwise exceed your project budget. Every project is individually analyzed to determine the optimum application procedures. 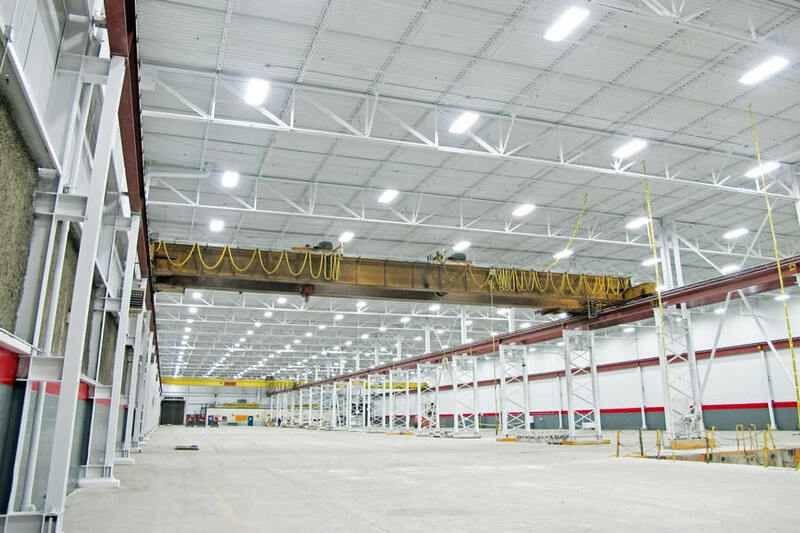 Let our reputable contractors in Warren or Youngstown, Ohio area serve you for all your industrial painting needs. Our painters are trained to use a range of lifts, granting them free range access to difficult-to-reach places. 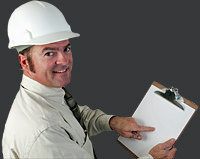 Also, we are licensed, so you will have peace of mind knowing that your project will be completed properly and safely. A wide variety of paints and coatings are available to us to use in our projects. Usually, there is only one that is the best and most appropriate for a given environment and budget level. Induspray provides high rates of customer satisfaction by minimizing expenses, maximizing the life of your paint coating, and utilizing the best solution for your project. 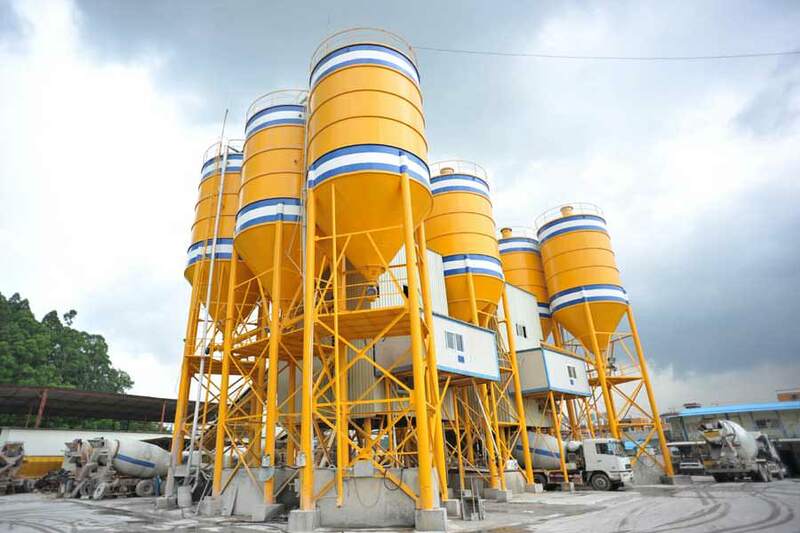 Appropriate coating solutions may include: epoxies, enamels, oil-based or latex paints, high-adhesion coatings, dryfall paints, non-slip, low VOC (low-emissions) coatings, urethanes, polyurethanes, and others. Only the best will do at Induspray, so we always work to correctly match the coating to be used according to the surface type. We pay attention to any weather which could delay or affect the project, and the local climatic conditions in Youngstown, Warren, and Ohio itself that could have a bearing on paint/coating selection. In addition, we always strive to be well organized, helping to ensure our projects are completed correctly and on time. In Youngstown, Ohio and Warren, Ohio, our company Induspray leads the way for commercial and industrial paint contractors. We’ve employed the best industrial painters in the business to tackle painting projects across the Midwest, including Ohio, since 1975. 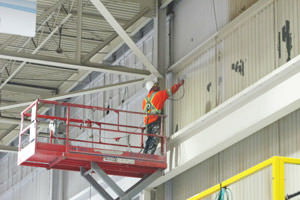 Induspray’s experienced project administrators, highly skilled painters, and key suppliers ensure every project is finished well, on time, and within budget. 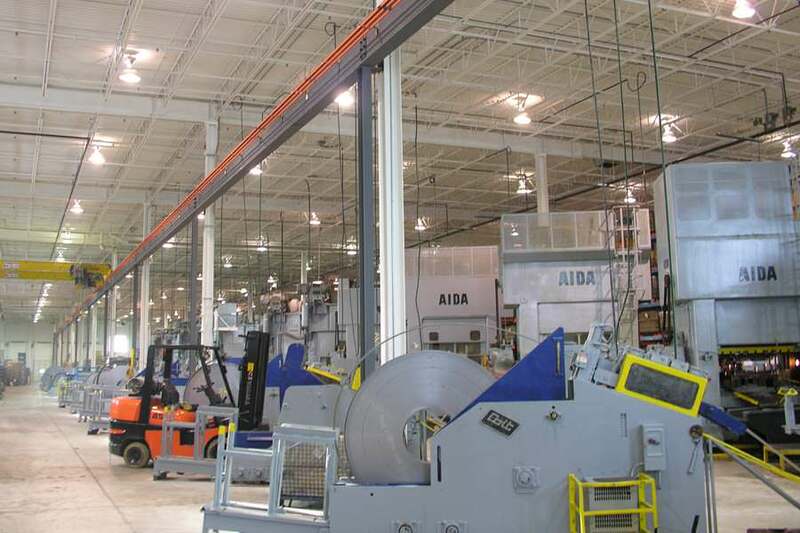 Induspray completes over a million square feet of industrial painting services each year. That requires an immense quantity of paint for our jobs. Because we purchase large amounts of paint from our suppliers, we receive an attractive discount for high volume purchases. We care about our customers, and it shows by us passing on the savings to you. Typically a painting project’s greatest expense is supplies/paint, so this can be quite significant. Your painting project deserves to be completed by the best industrial painters within Ohio and Youngstown / Warren. If you’re comparing prices and choices, we’d be happy to assist. An Induspray representative will examine and consider your project needs, and schedule a job site visit appointment if required (it usually is for larger jobs). We will then use our professional judgment and experience to prepare a proposal with a price estimate that is based upon your unique painting needs and budget. Free estimates are always included as part of our services. We look forward to hearing from you, and working together with you on your project. Our local Youngstown, OH / Warren, OH service area includes Greater Youngstown and Warren, plus nearby Boardman, Struthers, Canfield, Austintown, Girard, Hubbard, Niles, Lordstown, Hermitage, Vienna Center, Lowellville, Mineral ridge, Champion Heights and Farrell located in Mahoning County, Ohio. “Thank you Andy, the ceiling came out beautifully. You were correct, the brightness in our production area has gone way up, it seems like almost double the light level in here now! Hopefully we can get around to refinishing the epoxy floor soon if we can get the budget. We'll keep your company in mind for that for sure." "This is just a note of appreciation for the repainting work on our warehouse ceiling. I cannot believe how well the spray painting process went. The new paint looks great and we could not be happier with the results. Absolutely we would recommend your firm to anyone looking for a painter in and around Youngstown or Warren. Thank you again." Youngstown, OH / Warren, OH are adjacent cities located approximately 70 miles southeast of Cleveland. Traditionally, Youngstown was known as a center of steel production. They have a diverse combined population of approximately 570,000 people (for the Youngstown-Warren-Boardman metropolitan region), and are home to many businesses and industries, including manufacturing companies, warehousing, and light/heavy industrial facilities. 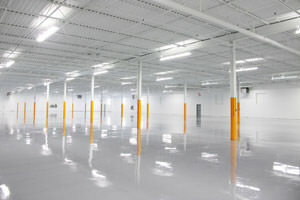 The area is served by several commercial painting contractors.